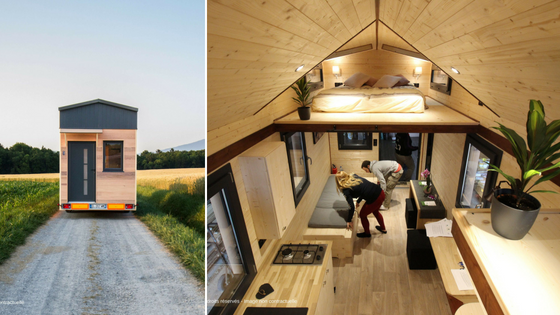 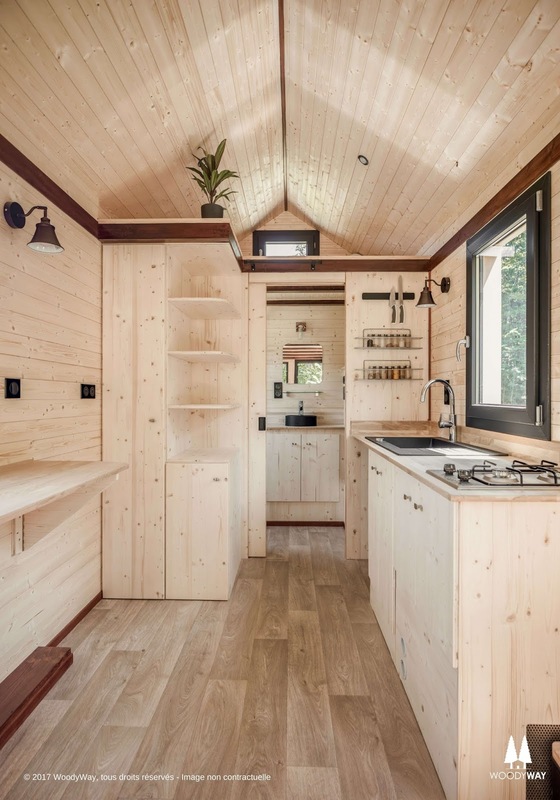 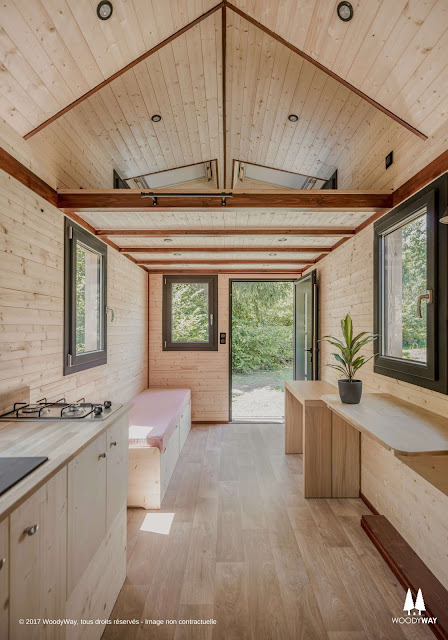 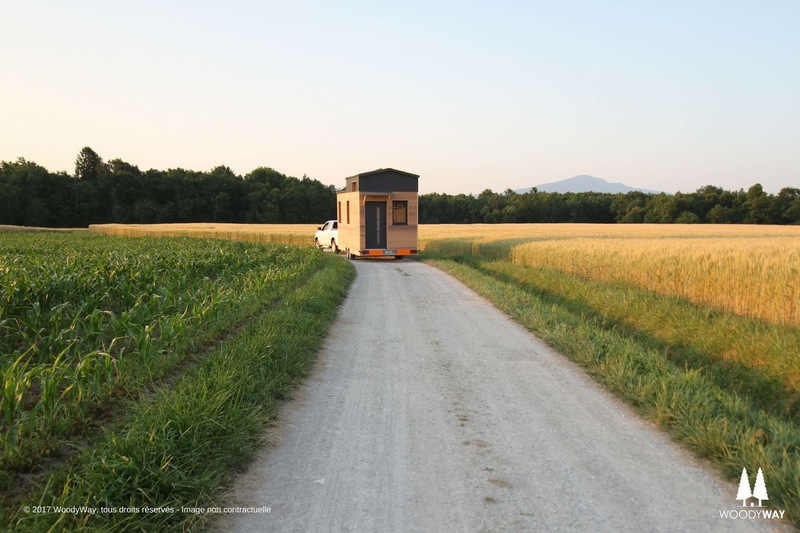 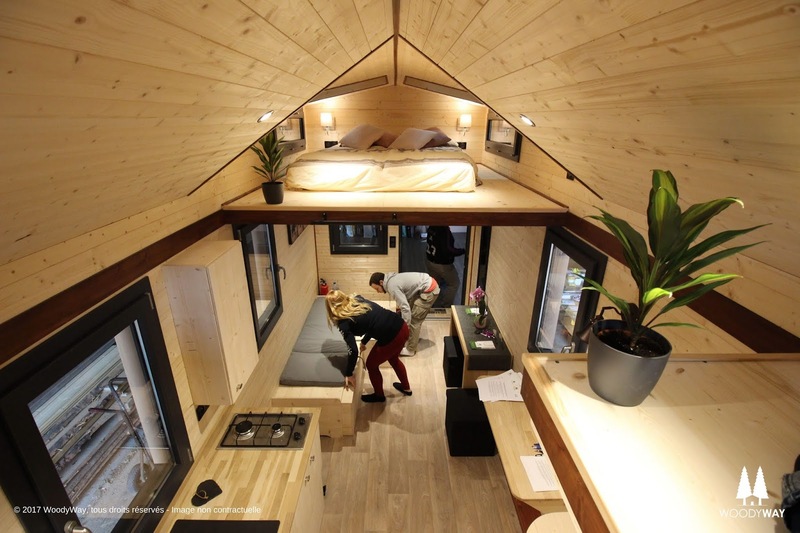 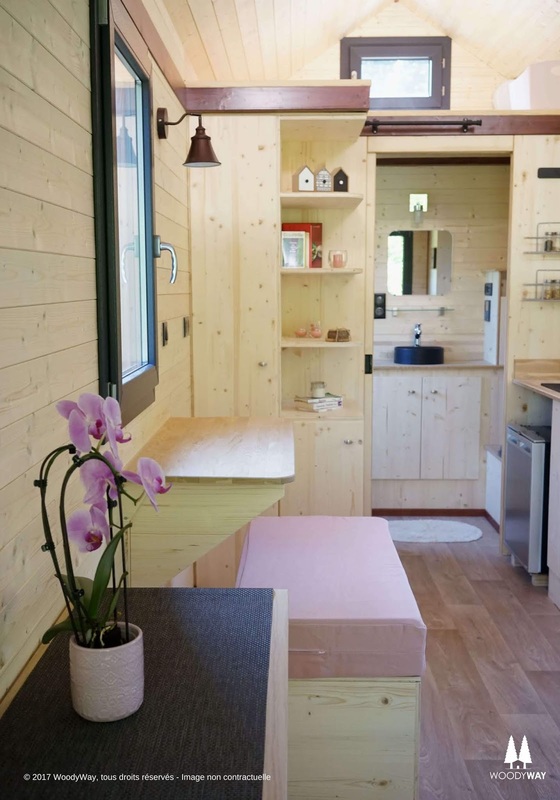 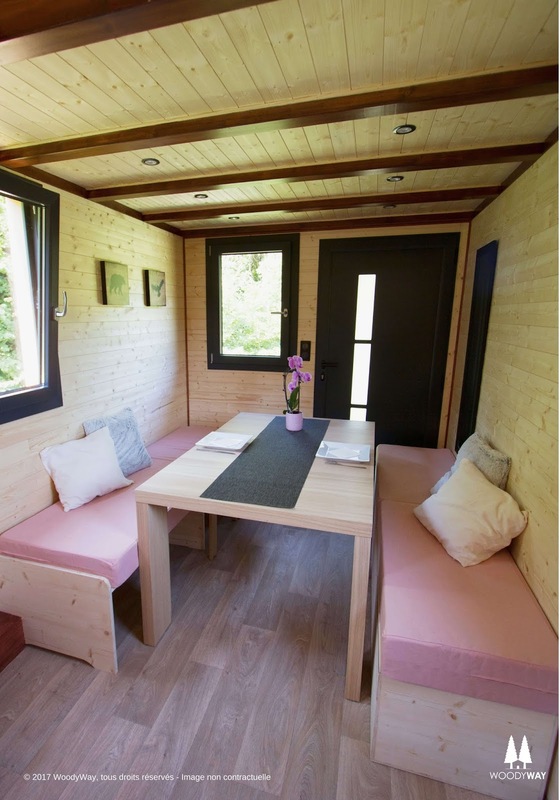 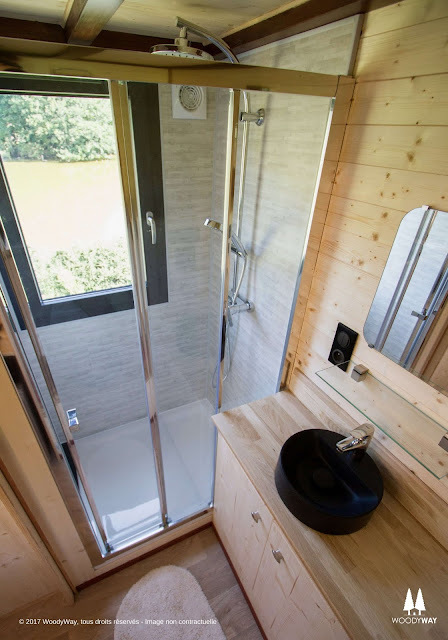 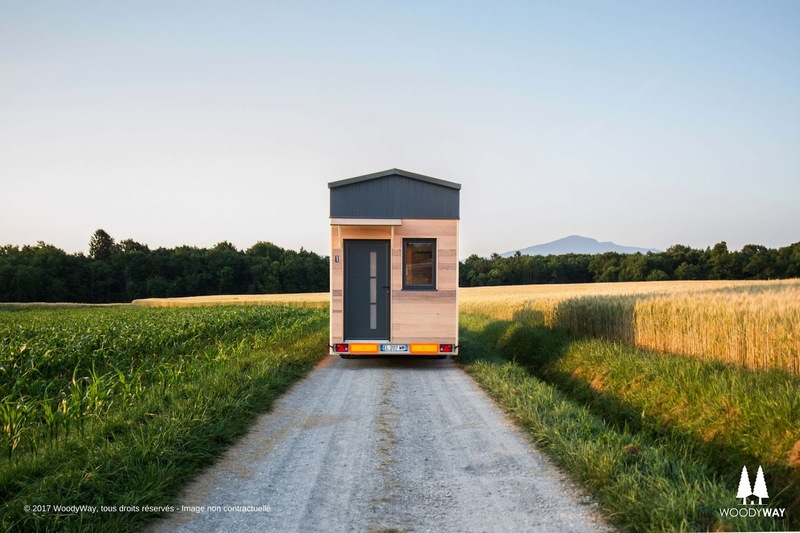 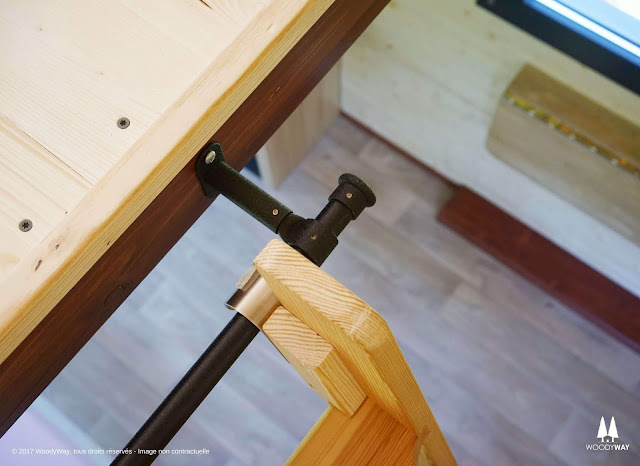 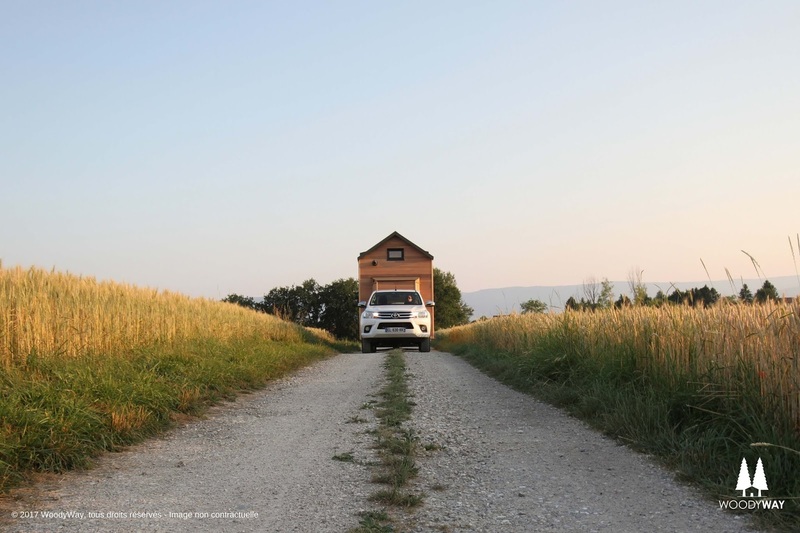 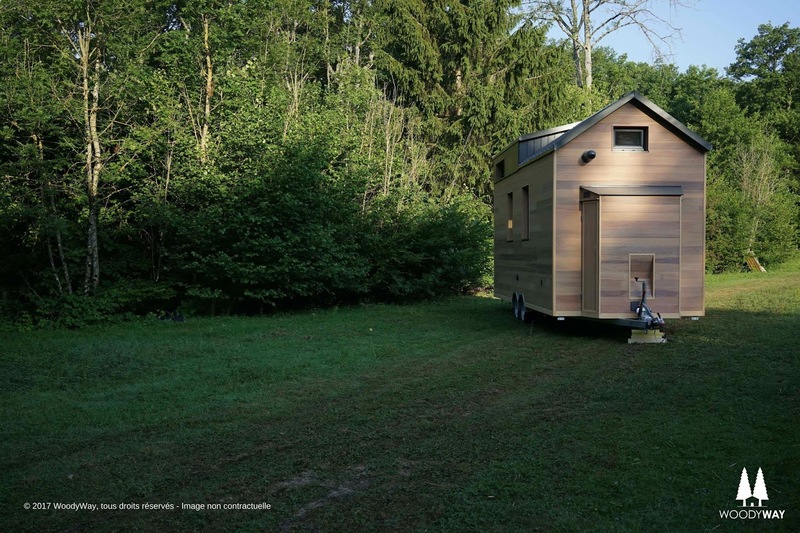 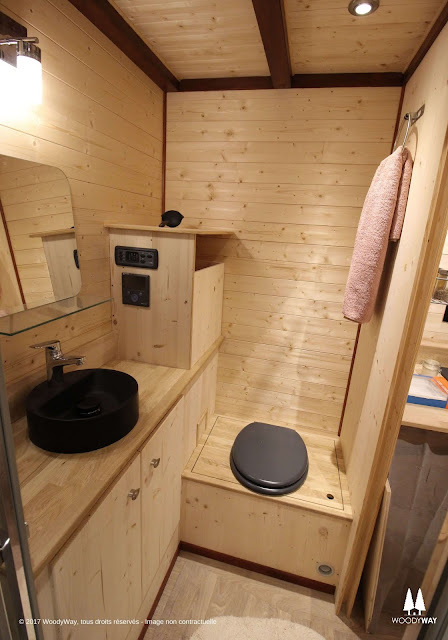 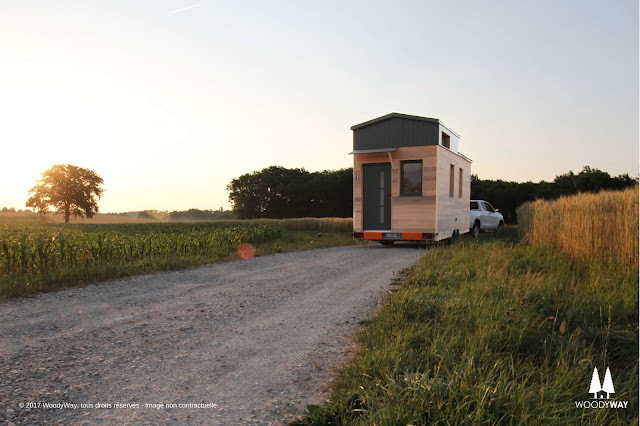 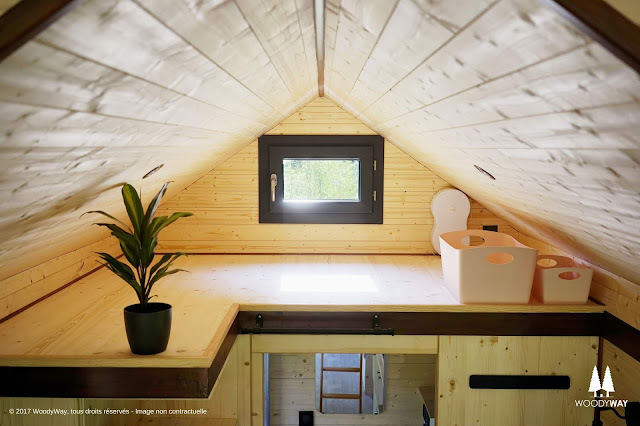 From Swiss-builder Woody Way is this beautiful tiny house on wheels with just 190-sq-ft of space! 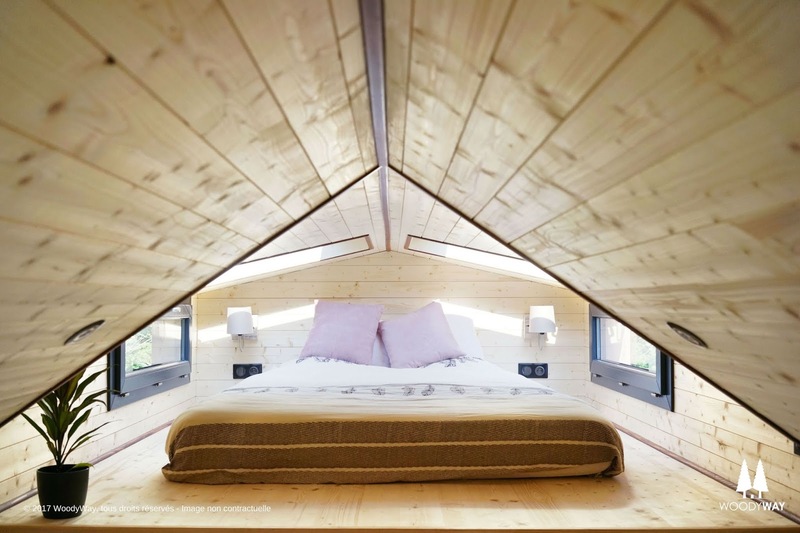 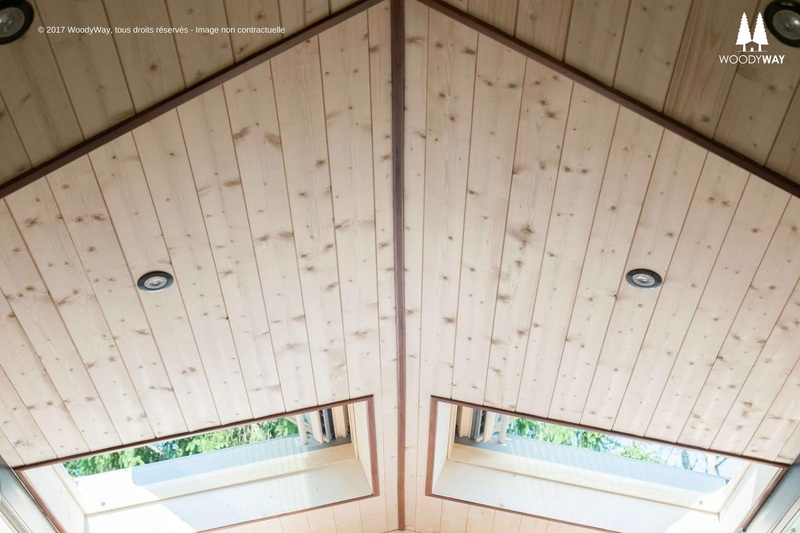 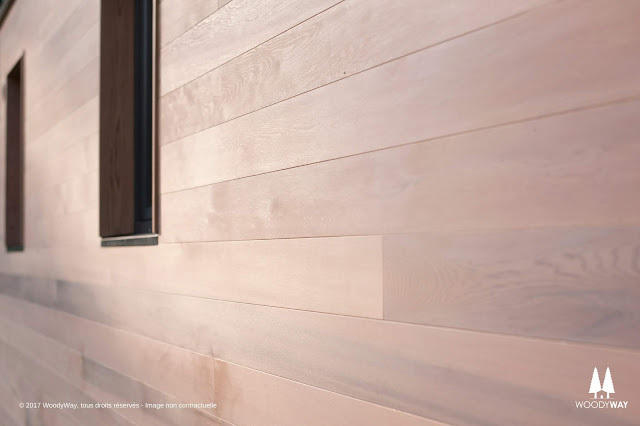 The home's design draws inspiration from cabins and cottages for a cozy, intimate feel. 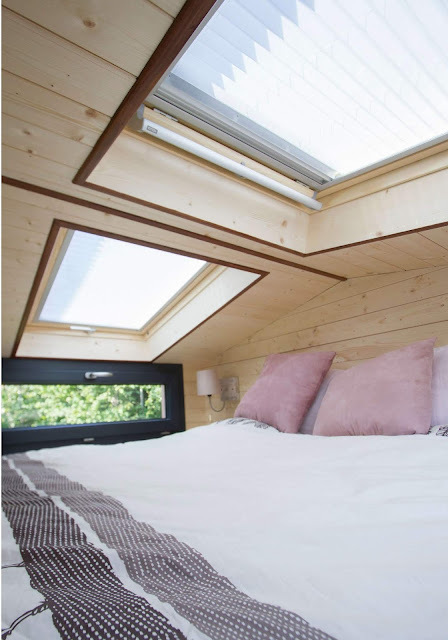 With its well-lit interior and a carefully designed layout, The Cottage is as liveable as it is beautiful! 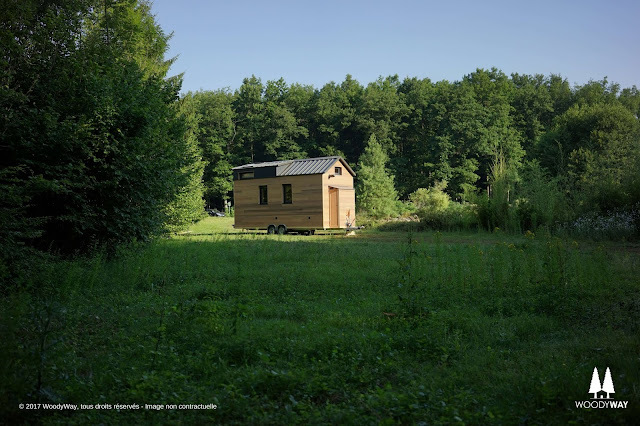 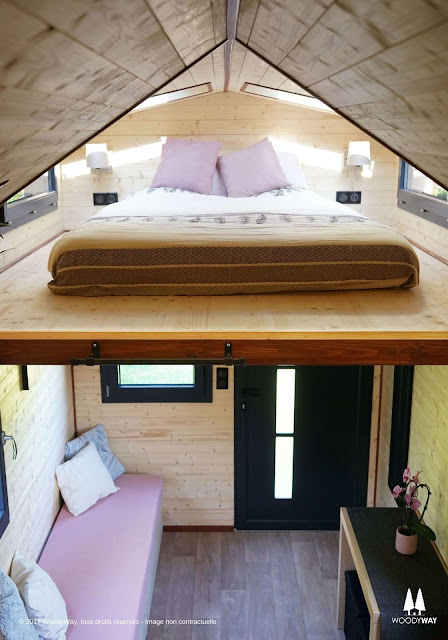 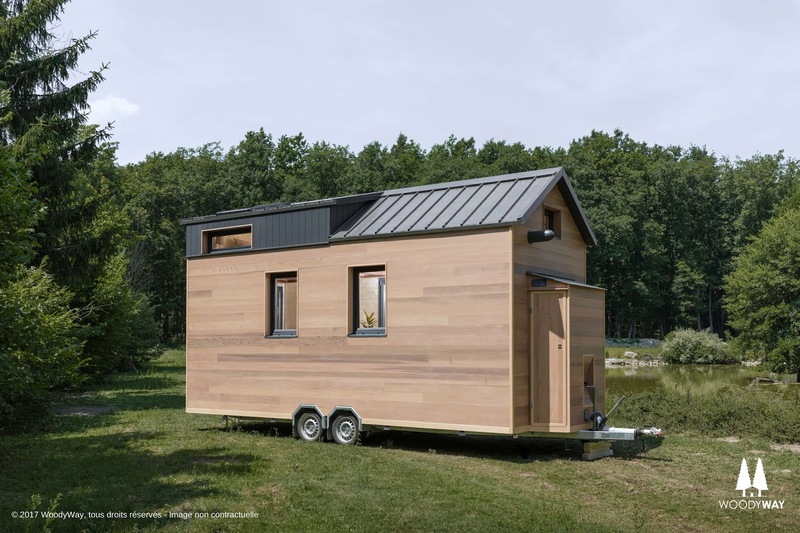 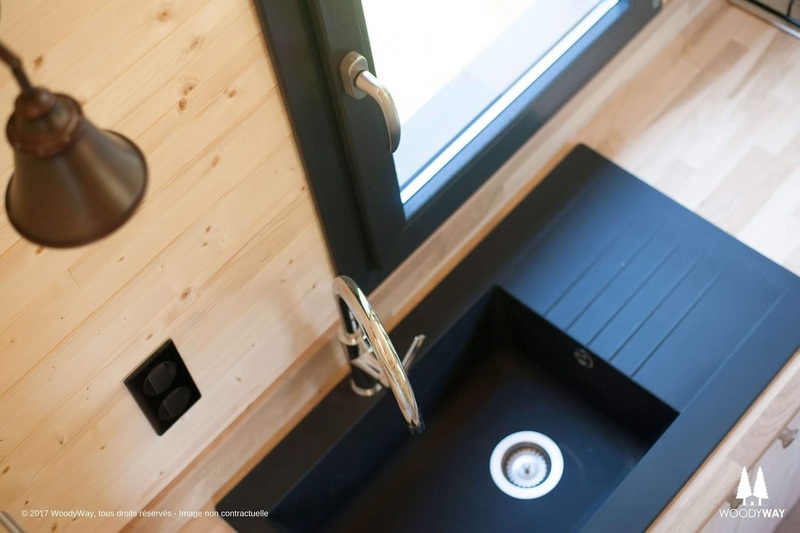 It's also one of the most eco-friendly tiny houses on the market with 95% of the home built using environmentally friendly materials and a complete off-grid system! The Cottage is available for order in three various stages, from a DIY base model to an all-inclusive turnkey home. There's also an option for a longer/larger version. 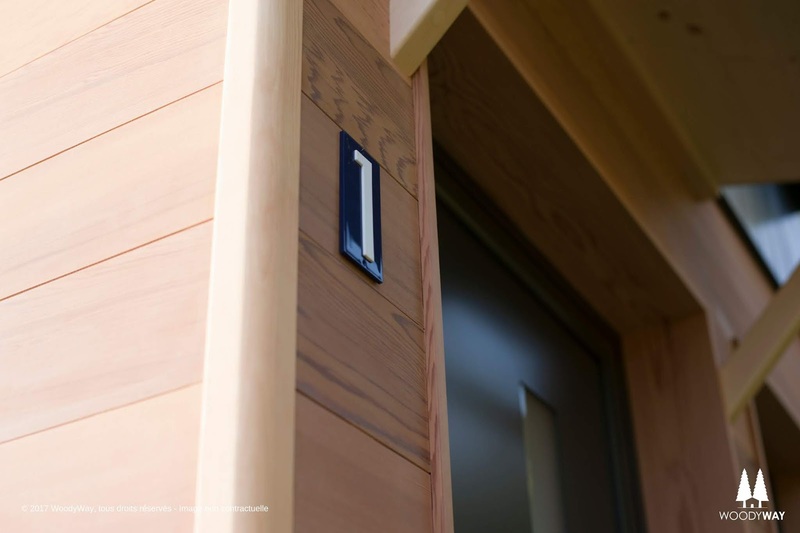 For more information and/or to inquire about creating a home with Woody Way, contact the builder here!